If you're type who gets choked up every time you read Carl Sagan's "Pale Blue Dot" essay and enjoy listening to Neil Degrasse Tyson's "we are star stuff" spiel on YouTube, Clara is the movie for you. With its story about hunting the universe for inhabitable planets, this is the filmic embodiment of that GIF of Eric Wareheim having his mind blown in space. The story follows Dr. Isaac Bruno (Suits' Patrick J. Adams), a down-on-his-luck astronomer who loses his university position and becomes obsessed with sifting through NASA data in order to discover Earth-like planets. He brings on an under-qualified but keen research assistant named Clara (Troian Bellisario of Pretty Little Liars) to help him, and they develop a pseudo-romantic bond while simultaneously coping with past traumas. The pair's solemn, sentimental debates about the meaning of life are soundtracked by epic strings and droning, celestial synths. Isaac is data-driven and practical, while the quirky Clara is more concerned with abstract feelings. She ultimately helps Isaac appreciate that there's more to life than numbers — an uninspired narrative trope that paints Clara into the box of manic pixie dream girl. 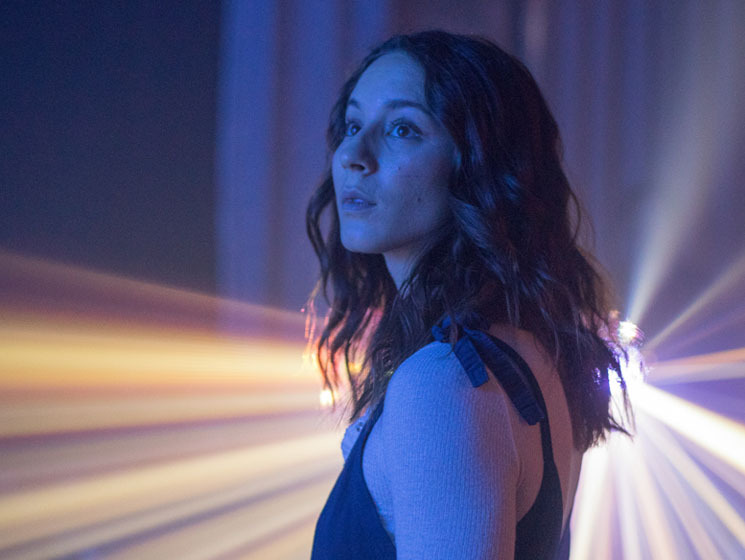 Some scenes quite literally portray her as having a connection with aliens, making her feel less like a real person and more like a vehicle to assist Isaac on his journey. The film flirts with sci-fi, but director/co-writer Akash Sherman is ultimately more concerned with grappling with matters of the heart than with extraterrestrials. It's a bit like Interstellar, except everyone stays on Earth and deals with their emotions. That's a shame, since Clara's science is more intriguing than its philosophical musings, and it's tempting to imagine how it might have played out with a higher special effects budget. Despite these flaws, Clara works quite nicely as a mood piece: the colours are muted, the score is appropriately etherial, and it effectively captures Isaac's depression as he searches for meaning in his broken life. It gets under the skin even when it doesn't stimulate the mind. And more than anything, the film is admirably ambitious. Sherman is in his early 20s and Clara is his first narrative feature, and it's about nothing less than the meaning of life and the quest to find if we're alone in the galaxy. This as earnest and reverent as films get, and Sherman's idealism is infectious.